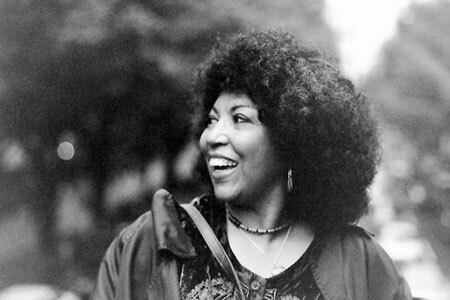 Linda Lewis is one of Britain’s most respected and talented singer songwriters, whose career spans more than four decades. With her five-octave vocal range, she has fused folk, soul, pop and reggae into a unique signature sound that is now an integral part of the pop music landscape. Covers and samples of her music have been used by artists including Joss Stone and Common, and recent collaborations with Basement Jaxx, Turin Brakes and Jamiroquai show her impact remains just as powerful today as it was in the 1970s. Linda grew up in London’s East End. She went to stage school in the 1960s, and as a teenager was cast in ‘A Taste of Honey’ and The Beatles’ film ‘A Hard Day’s Night’. Linda has produced ten studio albums in all. Say No More,was inspired by living with fellow artists and musicians in a commune in Hampstead. The house was often visited by Cat Stevens, Marc Bolan and Elton John. Say No More was followed by the widely acclaimed Lark and Fathoms Deep, both co-produced with Jim Cregan, and promoted by an American tour with Cat Stevens. Her other studio albums are Not a Little Girl Anymore, Woman Overboard, Hacienda View, A Tear and a Smile, and later works, Second Nature, Whatever and Kiss of Life. Linda’s vocal talents remain in regular demand by other artists. She has appeared on David Bowie’s ‘Aladdin Sane’, Cat Stevens’s ‘Catch Bull At Four’ and on recordings by Rod Stewart, Al Kooper, Chris Spedding, Steve Harley & Cockney Rebel, Roger Waters, Midfield General, Noel Gallagher and Paul Weller. In 2002 Warner Music released Reach for the Truth – an anthology of Linda’s music from the early ’70s. The following year BMG released the retrospective The Best of Linda Lewisand later Legends – a three CD box set that includes all her hits and several rarities. Linda continues to record and perform. In recent years she has appeared at Glastonbury, the Montreaux Jazz Festival, the Royal Festival Hall, the Barbican, the V&A and the Jazz Cafe. 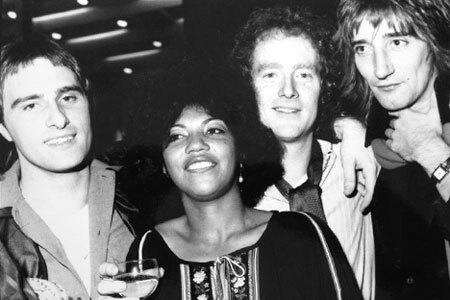 Her live album Live in Old Smokey was recorded during a residency at Ronnie Scott’s, and her most recent album Hampstead Days, which features rediscovered BBC recordings from Radio One concert and session recordings from Linda’s early career, was released in 2014.